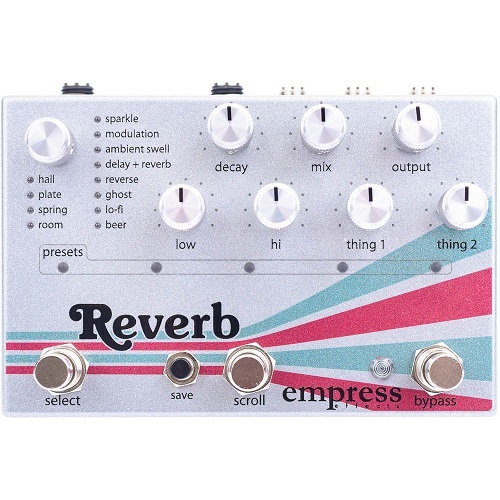 The Empress Reverb provides realistic simulations of spaces, as well as never-before-heard surreal ambiances are represented with stunning sound quality. Sporting stereo ins and outs, a small footprint and all the controls at your finger-tips, it strikes the perfect balance of control and ease of use, avoiding laborious menus. Presets, the versatile control port, and MIDI open up a world of possibilities for live performances. Whether you’re looking for a classic spring, realistic room or new sonic flavors to expand your creativity, this pedal delivers. And….it’s got a beer mode! 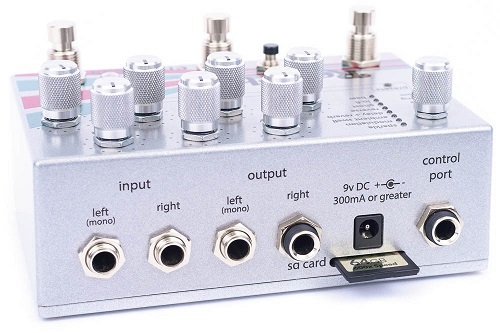 Dimensions: 5.7" x 3.75" x 1.75"